Alhamdulilah, reached my week 23. Belly is looking rounder & rounder. People already notice that Im pregnant, offering me seats in the train for ONCE. 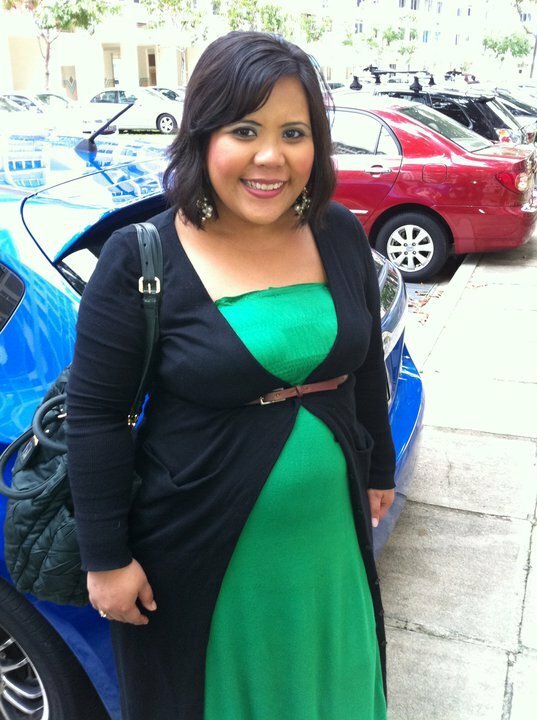 A malay makcik.Thank You.And the rest typical ugly Singaporean.Heh! And of course more & more stretch marks yo at belly & breasts.ho ho welcome babey! Baby started to move more & more too. Probably turning & stretching in there.happening eh! Read up online and found that by now, baby is becoming more coordinated as muscles develop and strength increases. Of course his movement will build muscle, strengthen bones and improve his motor skills. His eyelids, eyebrows and fingernails are developing too. And organs are developing to perform their particular functions. And the frequent urine experience must be due to the growth of uterus, putting more pressure on the bladder. At one point, I cant hold it man. go figure! Yesterday night was worst 4x within 1 hr. Not forgetting the frequent legs cramp, body aching experience too. Meragam betul! I had to wake Boy up for 3x to massage me & helped me to put my leg up. And the tossing & turning, trying to sleep at my best comfortable position, yes sleeping on my left side for now only. Boy have been helpful & patience indeed throughout the pregnancy. Never fail to response to my whiny needs lol. Beside the above, constipation greeted me too. For my 1st trimester, I had no problem at all.Everyday sure must let go. Since last week, wah piang, manyak susah lor! Must always remind myself to have my daily watermelon juices lah. Since the day, Baby started fluterring & moving, I have been talking to him alot almost everything lah. The more you talk to him, the more familiar he will be with our voice. Am I right mummy out there? Letting him listen to Al-Quran,Yasin/Kursi surah from my iphone helps too.Kasi dia relax. He is my new bestfriend. Boy always reminds me, the first madrassah for a child is the MOTHER who should try their level best to raise a pious child. The MOTHER’s influence on the child is far greater than that of the father. Truly, it is up to the MOTHER to be the best example for their child. A child picks up every single thing. Even the babies.We might think that they are small so they do not understand , but they register every single thing in their little tiny brains. Then when they get older and able to talk, everything that was stored, is shown to us by words and actions. May ALLAH make all of us MOTHER/MOTHER to be, a good role model for our children, INSYALLAH. Soon we will be blessed with a son, InsyaAllah. Boy has been rather the enthusiastic one for finding names for our baby. Probably because, he is the very particular one about the meaning and origins. From the beginning, boy cuma fikirkan nama girl aje. Actually, he would love to have a baby girl.awww…. 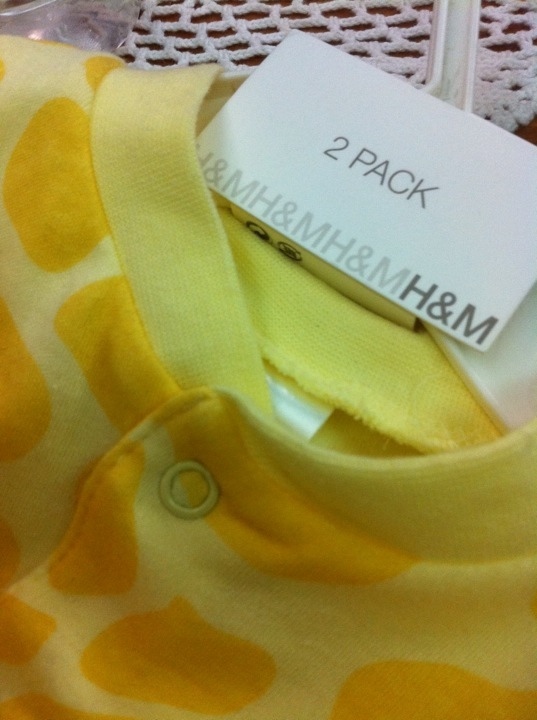 Yeess, Baby H in his mind. It would be nice if a girl, we would like to start calling her Baby H (his name Hussni mah), and for a boy, Baby L (my name Lydia right). So I did my part ( nak Baby L for my son) to find a list of names that have pleasant and beautiful meaning just like our Prophet (SAW) did. People name their children to distinguish them from others. The baby must be named on the seventh day. According to a Hadith a child must be named promptly on birth. The baby name must be meaningful. “You will be called by your name on the day of judgment” this is another reason why it is important to chose a baby name with good meaning. The prophet (PBUH) was very particular about it and he always changed names that were derogatory. An example is that he changed Aasiyah (disobedient) into Jameelah (beautiful). Please note that most of the baby names and meanings listed on Muslim Baby Names and Meanings have been added to the database by our users from all over the globe. Therefore Muslim Baby Names and Meanings can not guarantee the accuracy of the baby names and meanings listed on the site. We highly recommend that before you take any decision on naming your baby, you should first verify the baby boys names and baby girl names and their meanings found on the site with the Imam at your local mosque. I managed to list errrr 2 names only for Baby. And, he suggested Baby A Bin Hussni. I suggested putting 2 names, Baby L A Bin Hussni. He was adviced to put a single name so we will not be confused on what to call him. 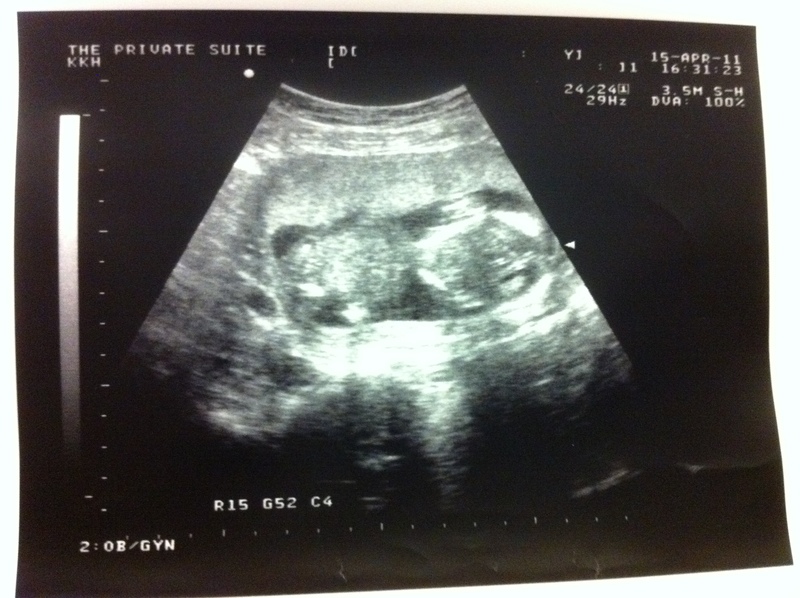 Oklah Boy, Baby A baby A lah…..Alhamdulilah. Errr, Can I have two name pls…..Baby L A? InsyaAllah, before making our decision, we will definitely verify first with the correct sources. Equally entertaining & stressful man! Amazing feeling to see belly growing. With love & thanks, Baby! Love from Shanghai, Thanks Aunty Lynda! 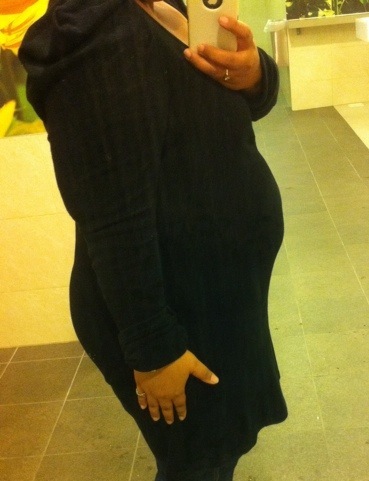 fluttering & growing belly, its such an amazing feeling, Alhamdulilah. Woke up & headed towards the kitchen. 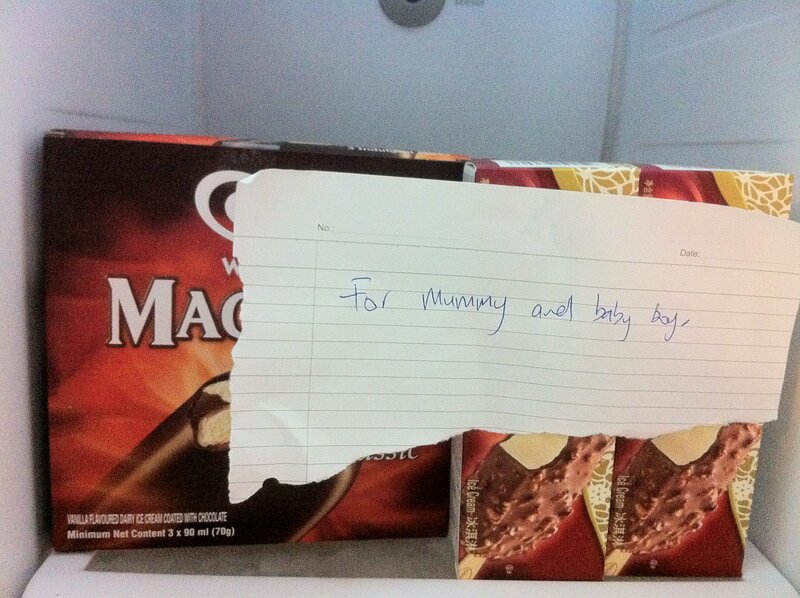 Ahhh for coming home late last night from his impromptu JB trip. Well that’s sweet of you indeed. Metup Boy straight at ADC, KKH at 4pm just now for my Week 20 Detailed scan. Glad that he rushed from his workplace just in time to accompany me for the scan. 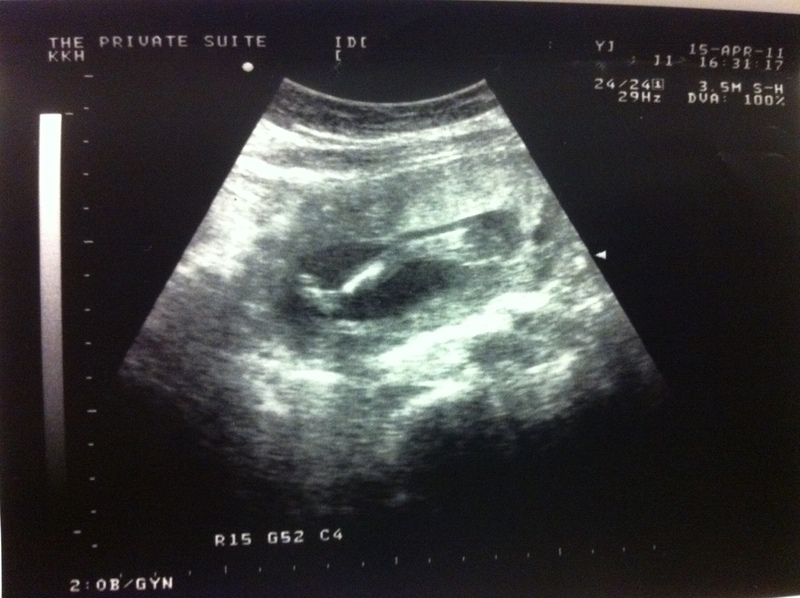 The sonographer told us its gonna be 99% BOY, Alhamdulilah. I did asked her alot of question. 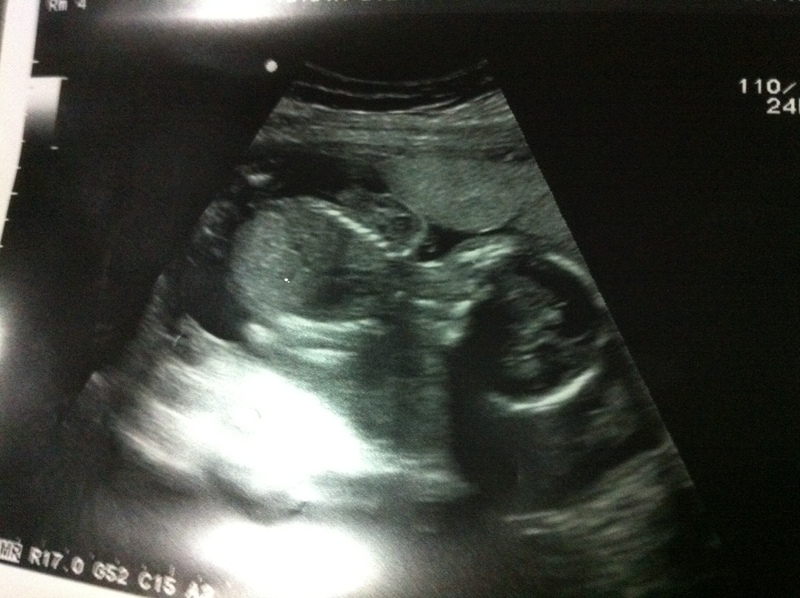 Took her about 20 mins, Then she instructed us to pass the results & the scan pics to Dr Loh where I met him at TPS. 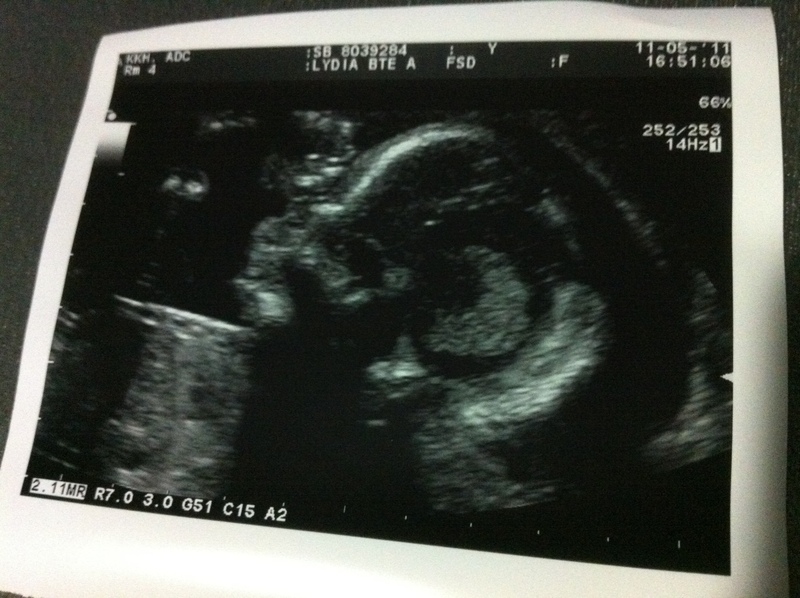 From the detailed scan results, Baby boy is growing well & healthy as per Dr Loh, and he is at an average size. We didnt take note of the measurement then of baby’s length. Too excited looking at baby’s movement perhaps. And good news for me, i dont gain weight. And he passed me a letter of Air Travel During Pregnancy, stating found no increased risk for air travel till 15th Aug. Thanks Allah for everything, Im halfway through the mark, Pray for a smooth journey till my delivery. Amin.